Photo: Coll. No. 1113, Bromus inermis, characteristic fold on leaf blade. Eastern Mojave Vegetation Coll. No. 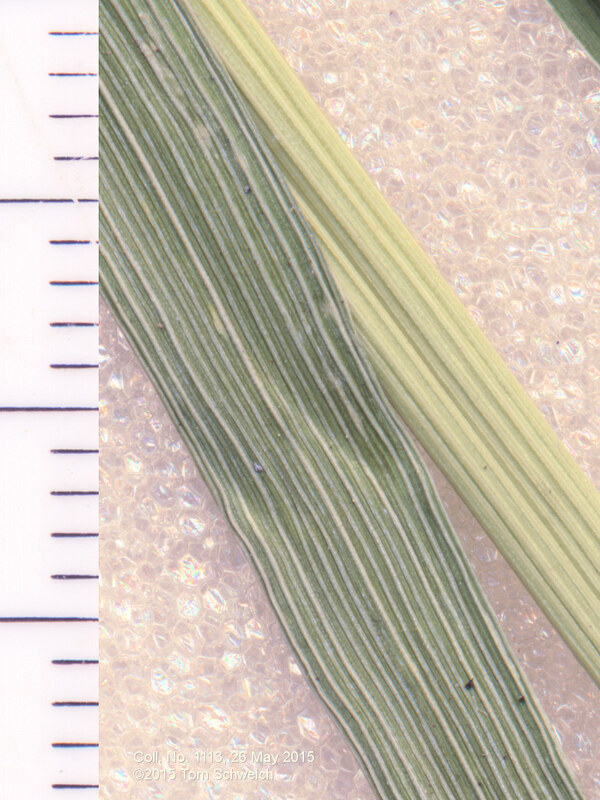 1113, Bromus inermis, characteristic fold on leaf blade. Other photos about Species - Poaceae or Bromus inermis.